Click here for more school and student photos. 27/ 5/1874 for an area of Crown Land to be used for the establishment of a School. Crown Allotment 67a, Parish of Mooroopna, County of Rodney, was allocated and the local settlers erected a wooden building measuring 21' x 17'. 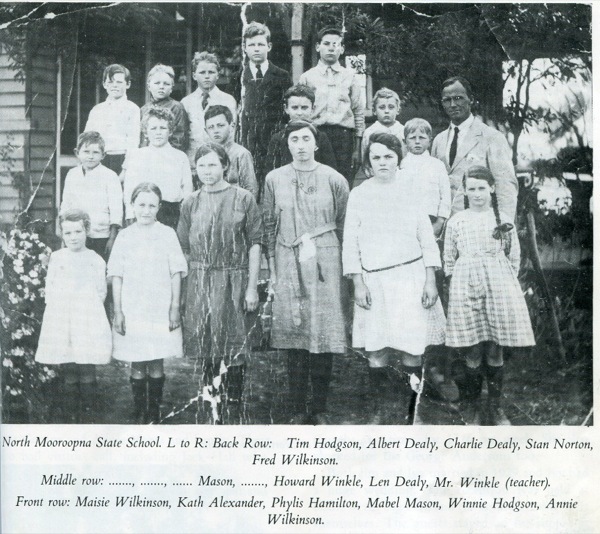 The School opened on 12/7/1875, with James Hunter as the first teacher. 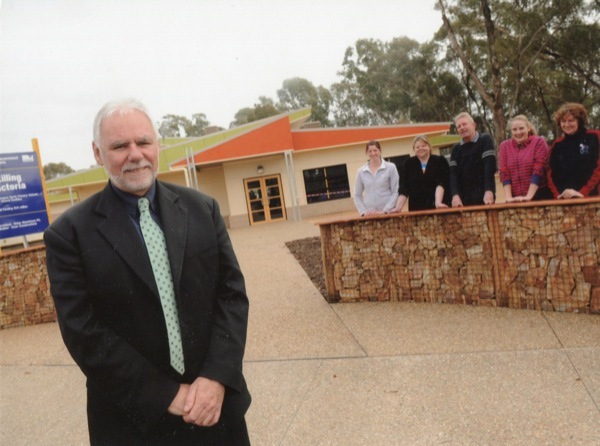 He Enrolled 75 pupils, and during that year the average attendance was 44. In 1877, the Education Department made an addition to the old room measuring 15' x 17'. 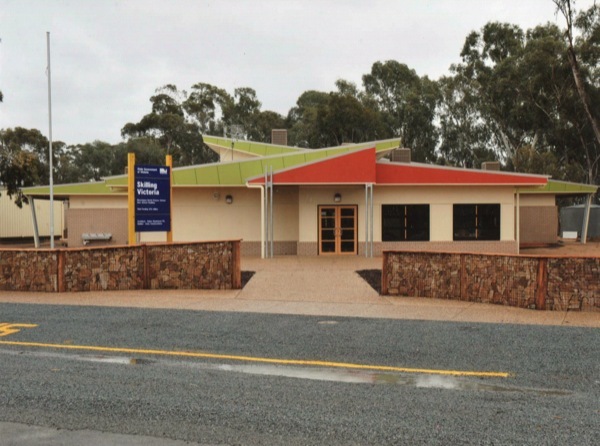 This enab!ed the School to accommodate 60 children . 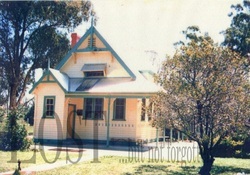 Also in 1877, a four room teacher's residence was erected. The cost of the extension and the residence was £311/6/0. The present School building was erected around the turn of the century, and both buildings existed side by side for some years. The old building was purchased for removal by John Baxter, about 1906, for use as a barn. In 1969, the number of pupils at the School rose to such an extent that two teachers were required. A second teacher was assigned, but no additional accommodation was provided. This meant that both teachers and all the children had to be housed in the one room, with a curtain hung across the middle of the room. 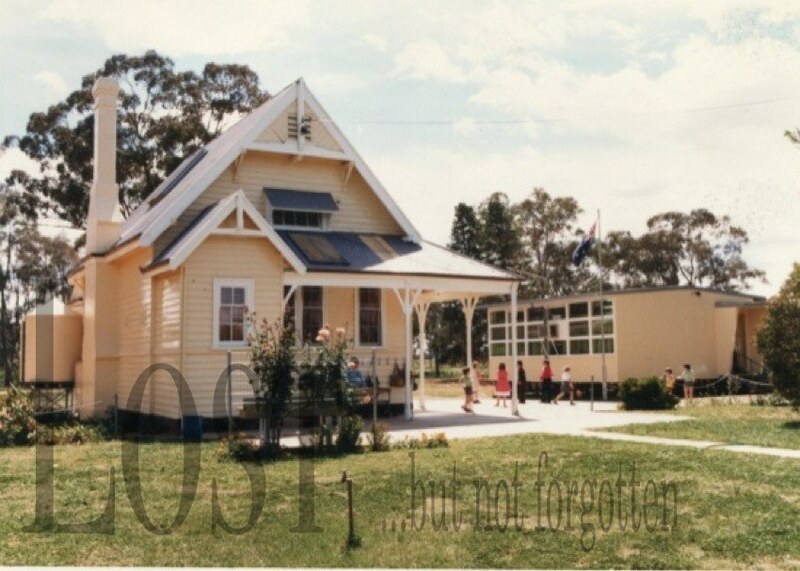 In 1971 a portable classroom was provided, and this greatly· eased the congestion . 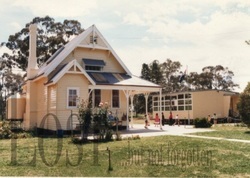 There had been a residence at the School until 1964, when it was condemned and demolished. A new residence is to be provided in the near future. In 1937, 3 acres adjacent to the school were granted for the establishment of an endowment plantation. Matt Thompson ploughed the land, and under direction of the Head Master, Mr. Anselmi, the local residents planted pine trees. The plantation was cleared in January, 1975. School picnics were held for many years, and were an eagerly awaited annual event. These were held in Baxter's paddock opposite the school. My uncle Tim is on the top left and my aunt Win is bottom row second from right. Middle row from left are: Ron Hamilton, Robert Meaklim, Ken Mason, Tom Hewson. Let us know if you would like to be added to a mailing list so as to keep up with additions of information/photos and other historical booklets that become available over time. 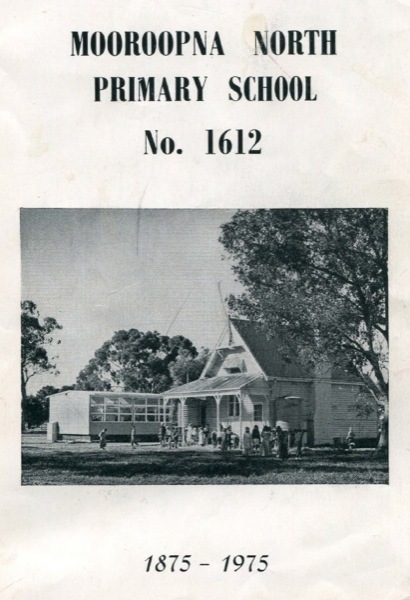 A great little history booklet of the school with photos and enrolment names from 1875-1975. 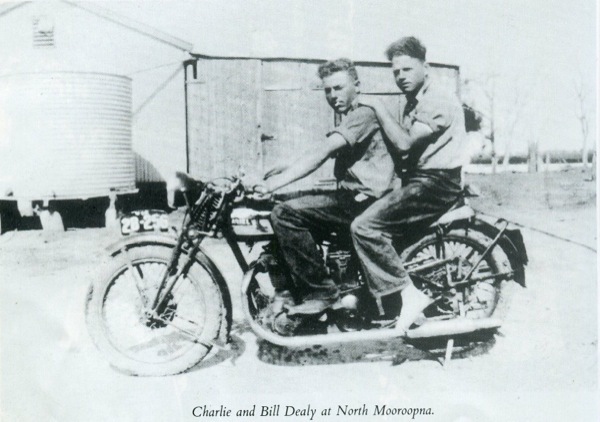 Community history as well with a mud map of where the 14 locations of the main buildings and features which was the Mooroopna North township. 13 pages with some school photos. Searchable text.